In 1969, Richard invited me to go to the Melbourne Sheep Show. This was my first introduction to meet stud Corriedale rams. That night, Neil Armstrong walked on the moon and the next day, I missed my plane flight home. 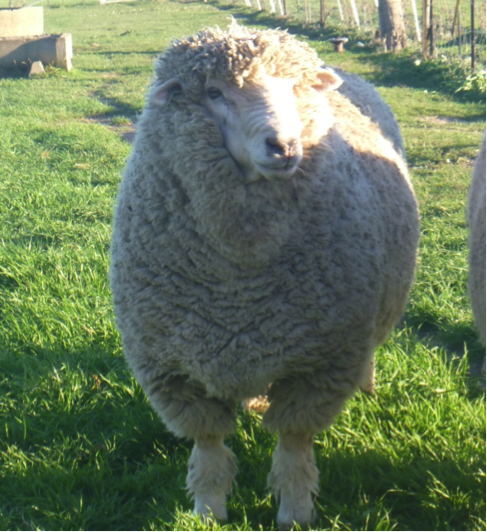 This is Avatar, last years Champion Ram in Dubbo and behind him Abbey, our Champion ewe. He says it all. This year we take Dexter and Errol to the Sydney Show. Dexter is two years old. Now he is such an alpha male. There’s something about the way he holds his head up or maybe the glint in his eye. Dexter has it all. 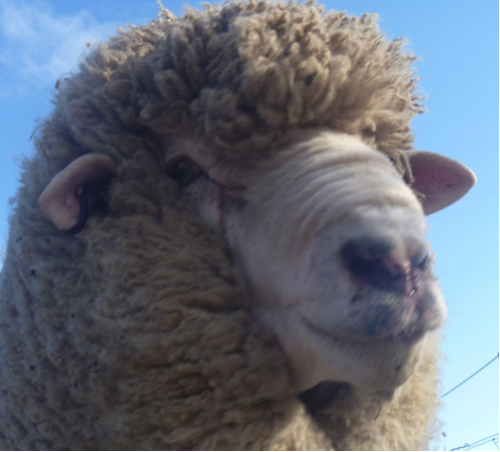 He’s huge and square (weighs 140 kilos) with beautiful soft long wool. He has all the other boys doing exactly what he wants. He walks into the shed first. Leadership comes naturally to him and he doesn’t hesitate to beat the others into submission. It is a very physical relationship. He’ll walk around the other ram he is fighting, nipping him on the flank and then they line up at twenty paces and charge each other full bore – head on. It is terrifying to watch. And then they back up and do it all over again. Dexter will go into the older class and won’t meet Erroll unless he wins and Erroll wins his class. Then they will compete for the Champion Ram. So what do you think? If they get into the final – who is going to win? Aren’t they perfect heroes for a romance novel? They both are friendly and confident. And I think up for the challenge. They know perfectly well we look at them, judging, commenting; one will come and stand in front of the other if he thinks his mate is getting too much attention. So the young ram is challenging the old ram. As a daughter, a wife and a mother I’ve seen that a lot. Most families, in fact. Human behaviour mirrors sheep behaviour minutely. So yes, I can see the alpha male in our rams. This entry was posted in Uncategorized and tagged High Country Secrets, romance books, romance genre, rural romance, sheep rearing. Bookmark the permalink.